Reproduces the four sets of sermons dating from the fourth century concerning the three sacrements of initiation. A valuable reference for catechetical teams preparing candidates for initiation, and for students of liturgy. 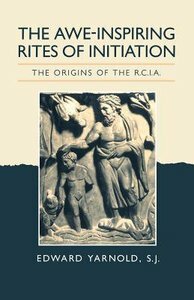 About "Awe-Inspiring Rites of Initiation"
Yarnold is a University Research Lecturer at the University of Oxford.